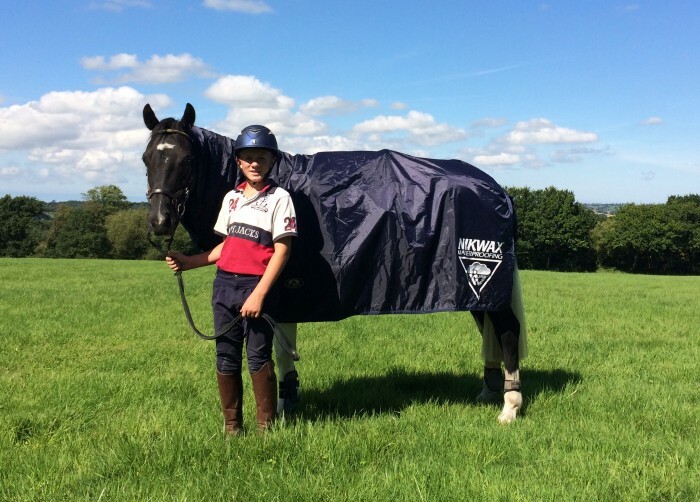 This month’s guest blog is by young rider Theo Funnell, who is sponsored by Nikwax, alongside Harry Hall equestrian clothing and Tamara Hick equine sports massage therapist. 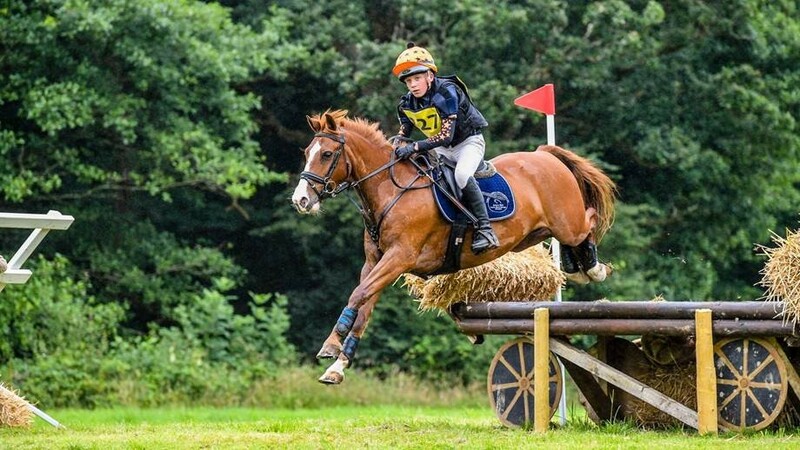 My name is Theo Funnell, I am 12 years old and am an aspiring young event rider from Devon, UK. I have had ponies all my life and am very lucky to have been able to train with some of the very best trainers/top riders who are helping me to become the rider I am and want to be in the future. I have two ponies at the moment, Piper is 9 years old, I have produced him over the last 3 years and we are now competing at Affiliated British Eventing competitions. We have had great success this year, including top 5 finishes and also winning all 3 area qualifiers for British Riding Club championships which I will contest shortly. My other pony is Macaroni, a 4-year-old that we bought from Ireland a year ago. I have backed him and have been slowly producing him over the last few months. He is now ready to start some low level competitions, with the view to start British Eventing next season. I have taken the opportunity to participate in some British Eventing organised training, which is helpful as you get to jump the courses. I also ride other peoples’ ponies so it keeps me very busy! I have learnt that getting the right instructor for you is one of the most important things and to really make the most of the different types of training that are available. Both of my ponies have been trained differently – Piper had been weak in dressage so we really worked with him on that, whilst Macaroni has a very natural way of going. I ride each of them very differently and my instructors really help and make me work hard so I can get good results. Having sponsorship from Nikwax is fantastic! Our competitions are always outdoors and usually in muddy fields. Ensuring my expensive equipment is correctly cleaned, waterproofed and cared for by Nikwax is a great help. I am very grateful to Nikwax and I will keep you all up to date with our successes and with reviews of the Nikwax products I use on Twitter and Facebook. 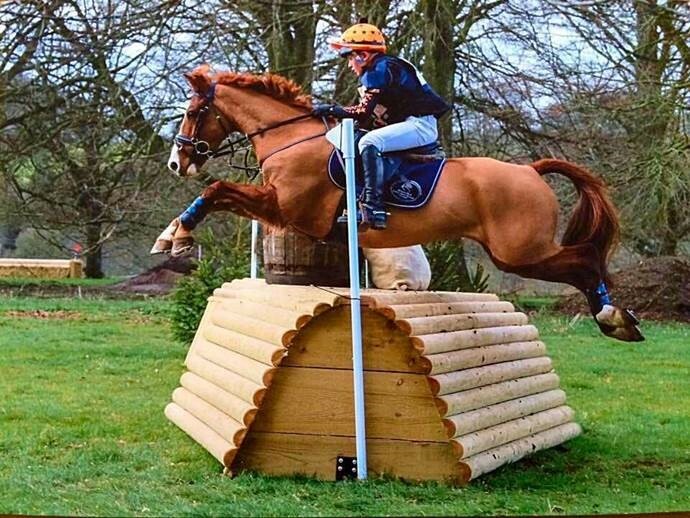 Just follow Theo Funnell Eventing.